Owan Enoh, a serving senator representing the central district of the state and Minister of Niger Delta Affairs, Usani, had been in a tough battle over who is the governorship candidate of the All Progressives Congress (APC) in the state. Both had filed separate petitions, challenging Ayade, the incumbent governor, the PDP and the Independent National Electoral Commission (INEC), over the outcome of the election. In court on Wednesday Counsel to Owan-Enoh, M. O. Inyang, who held brief for Awa Kalu, in a motion exparte application for hearing, sought an order seeking substituted service on the first respondent (Ayade). In a motion exparte dated April 8, 2019 and filed on April 9, Inyang said there are four grounds for the application, but the paramount was the fact that the bailiff of the court had made fervent efforts to service Ayade personally to no avail. The application was supported by a three-paragraph affidavit, an exhibit, which was the affidavit of non-service, as well as a written address in support of the application. 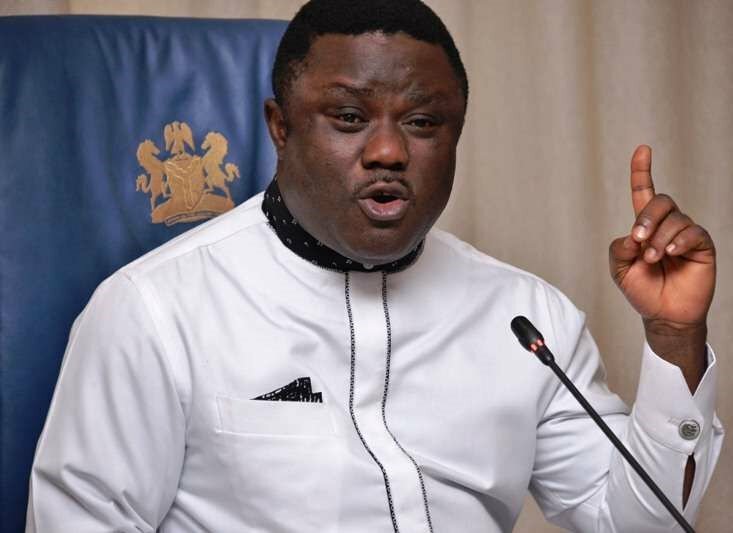 Chairman of the three-man governorship panel, Justice Josiah Majebi, said the application had merit and granted that Ayade can be served by pasting the notice of service on the wall of the PDP State secretariat along Murtala Mohammed Highway. In the second matter filed by Usani, his lawyer, Henrie Ituen, also in a motion exparte dated and filed on April 9, 2019 sought an order to serve the second respondent, Ayade, though substituted means by pasting it at the governor’s office in Diamond Hill. Attached to it also was an eight-paragraph affidavit, exhibit (affidavit of non service and a written application.